Gardens can be thought provoking in many ways. I love the multiple layers, this could be water, plants, trees, rocks and stones, sculpture could also play a big part in how an outdoor area is shaped. I think a well designed garden can play with all your senses, especially if there’s fruit or plants in the garden that are edible. Although I don’t have any particular experience with garden design, I have a real admiration for the work as the basis for it is similar to other design fields that I’ve studied previously. One of the major challenges is the constant evolution of a garden, it’s always adapting and changing so you have to cater for that movement. 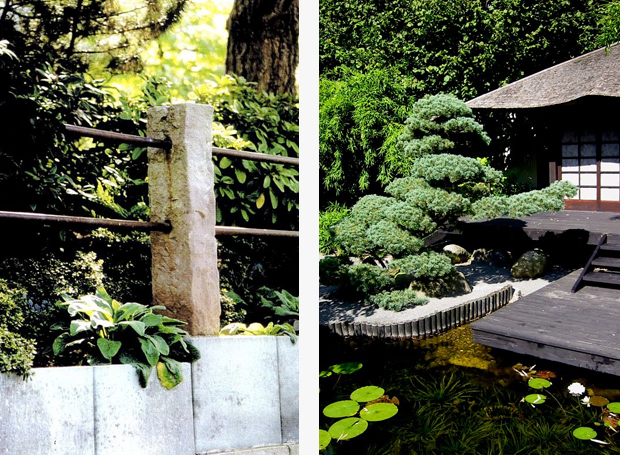 With my strong admiration for Japan, it’s obvious that Japanese gardens would be of interest. One area that I’ve decided to explore in greater detail is Buddhism, not necessarily in a religious way, but to maybe involve some of the concepts and thoughts in my life and design ethos. 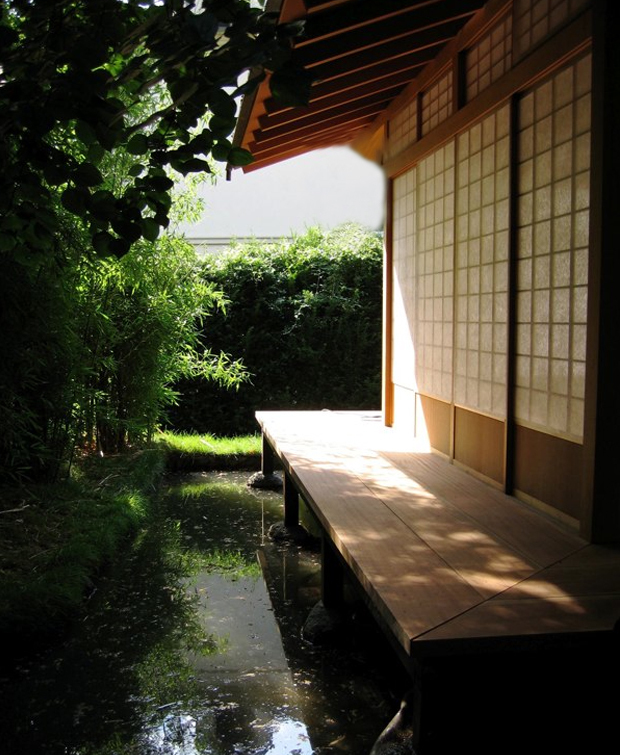 A powerful thing for me was to see how this has played a role in the design of the Japanese garden, mainly how it set the tone for its look and feel today. 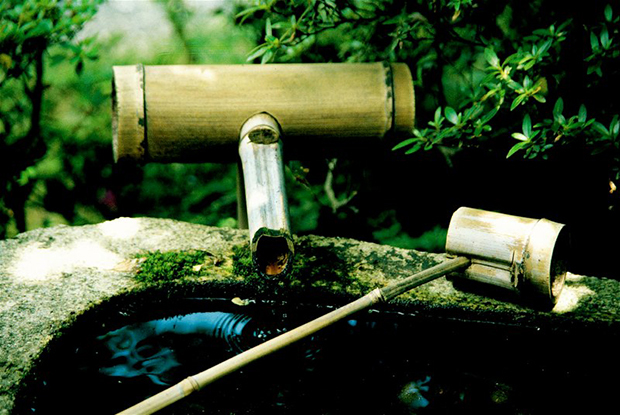 In the early days the Buddhist way of life was brought back to Japan through others who had visited China and seen the gardens that they had in their own country. 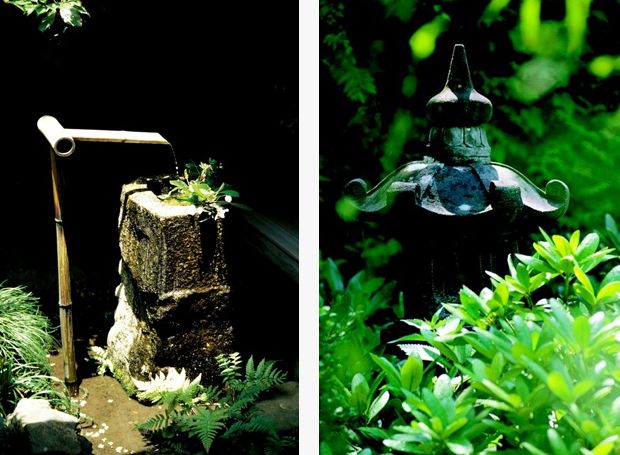 Each element of the garden had some sort of religious significance, this could be pathways that lead to enlightenment, or soil representing fertility. As time passed and the tea ceremony gained popularity, it became a ritual which was sewn in to the cultural fabric of Japan. 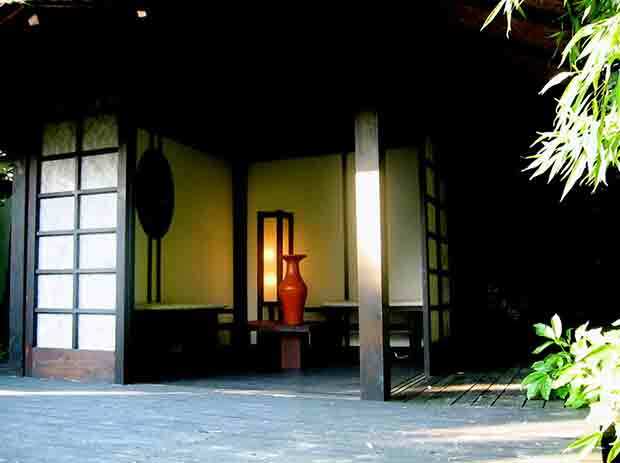 This saw the introduction of tea pavilions, also lanterns, stepping stones and arched bridges, which were increasingly fashionable for the day, all are now considered iconic objects of a Japanese garden. Since then Japan has been introduced to Western designers and those who have injected modern influences, and one designer that I spotted on my travels was that of Michael W. Veith. Michael is a “garden artist” from Germany and has travelled all over the world, working his magic on various outdoor environments. 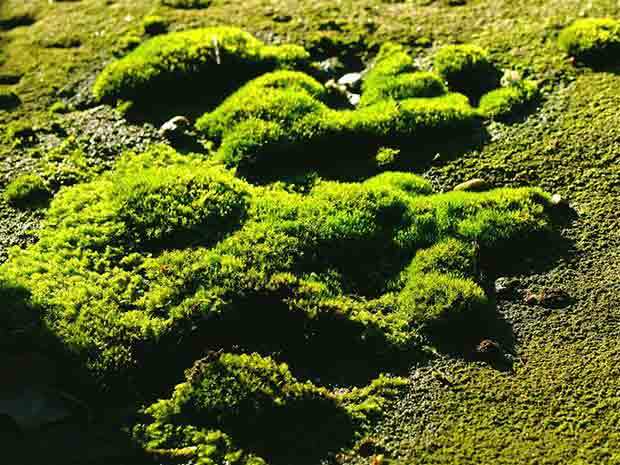 He’s spent a long time as a bonsai expert and has worked in Japan repeatedly, helping him to study the principles of nature to extend his feeling for different forms. 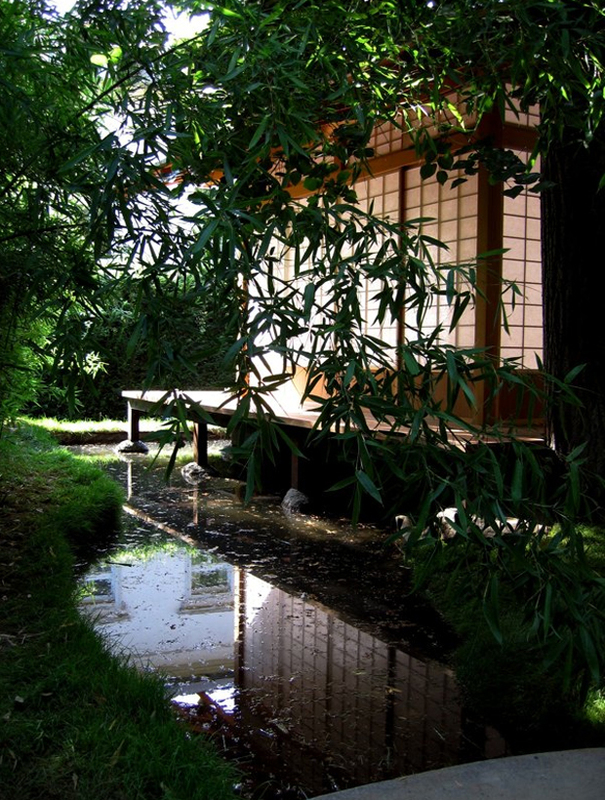 I quickly snatched up some inspiring photographs of the Japanese gardens that he has helped design over the years, but he’s also worked on other garden projects, including some gardens for modern houses and other simple dwellings. Very inspiring to say the least. Plenty more to see on his website linked below.